JMC is excited to announce Lucille Munz, RLA has joined the firm as a Senior Landscape Architect. Lucille is an experienced Registered Landscape Architect, in New York with over 30 years of professional experience with a variety of private and public sector development projects. Lucille’s extensive and comprehensive work experience includes: DEIS/FEIS preparation, site planning, recreational master plans, feasibility studies, construction document production and construction management for projects ranging from downtown improvement projects to the design of over 30 park and playground facilities. Much of Ms. Munz’s recent work has included projects seeking LEED Certification, requiring extensive knowledge of native plant material. 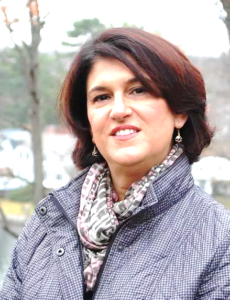 As a former Director at Urban Design for nearly 10 years, she has worked with many of the municipalities in Westchester on projects involving the planning of recreational park facilities, trailway projects, master planned downtown improvement projects and commuter parking facilities. The experience afforded Lucille a familiarity with various governmental review processes and an excellent professional rapport with municipal officials. Lucille has served as a Landscape Architect consultant and adviser to several Planning Boards in Westchester County, and her design work on Westchester County’s Riverwalk Project won the Westchester Municipal Planning Award in 2009. She also serves on the Board of Directors for a non-profit environmental education center in Yorktown Heights. At JMC, Lucille joins a team of more than 50 highly skilled and experienced professional engineers, planners, landscape architects, surveyors, and LEED® Accredited Professionals licensed throughout the United States.